Plumbing runs in John Comerford Jr’s blood. His grandfather and father were plumbers. Now one of his sons is, too. 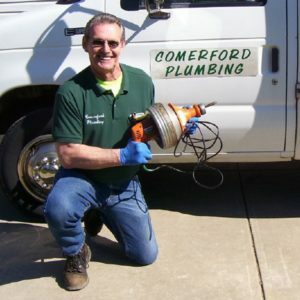 That’s why four generations of Comerford plumbing professionals have trusted tough, reliable hand-held drain cleaners from General Pipe Cleaners. 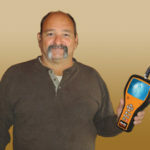 In fact, Comerford has owned four Super-Vee power drain cleaners since 1978. The hand-held Super-Vee easily unclogs sink, shower, toilet, and laundry drain lines up to 3″ in diameter. 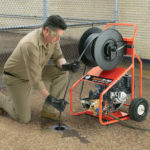 With a dependable motor, durable aluminum drum, and tough Flexicore® cable, Super-Vee withstands the most demanding small line jobs – and keeps working. General’s heavy duty Flexicore cable offers superior kinking resistance and unequalled strength with the right amount of flexibility. It’s so tough that it carries the best warranty in the business – one-year protection against breakage. Replacement never stopped any of Comerford’s older Super-Vees from working, either. 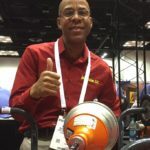 “I simply sold one to my son when he started in business – and another to a plumber friend of mine,” he reveals. The Super-Vee automatically adjusts to 1/4” to 3/8” diameter cable – no special tools or parts required. A slide-action chuck built into the front grip shield also engages and releases the cable with a quick push or pull – even while cable is rotating. Convenient, quick-change cartridges of General’s Super-Vee also make messy cable switching clean and easy. Comerford also says he’s retrieved some pretty surprising things with his Super-Vee. For more information about the Super-Vee, contact the Drain Brains at General at 800-245-6200 or 412-771-6300, or visit www.drainbrain.com/sv.